… stands for genuine musical enthusiasm, artistic vision and truthfulness! In optics, a prism (Prisma in German) refracts incident light into its colour elements and presents it in its purest and most beautiful form – a rainbow. Similarly, in acoustics terms, Prisma Wien absorbs the sound into its musical body in order to present it to the listeners in its full pureness and limpidity. … performs prominent musical works from all stylistic periods in variable formations and on period instruments. The ensemble works in collaboration with first class singers and commissions works to contemporary composers. 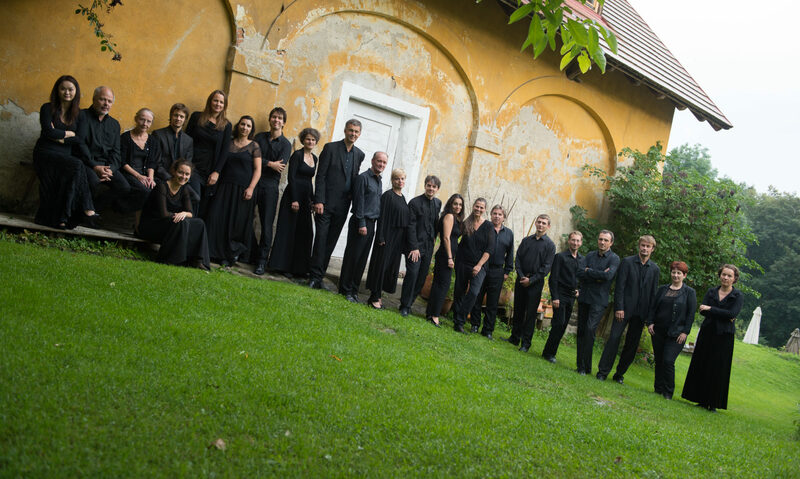 Since its founding in 2004 by Thomas Fheodoroff, Prisma Wien has been performing compositions covering all stylistic periods starting from 1600 onwards, and, depending on the repertoire using various performance practices. Always on the lookout for an extraordinary musical experience for both the audience and the musicians, the members devote their time to both small ensembles such as string trios, to entire symphonic Beethoven orchestra, covering a period of music spanning 5 centuries. The musicians of the ensemble along with their leader Thomas Fheodoroff share a special long-standing musical partnership. The musician use a common musical dialect to approach the music with stylistic harmony, and each musician is able to bring their own musical versatility and creativity to the pieces on both historical and modern instruments. A concious objective of the ensemble is collaboration with first class choirs, singers, and instrumentalists. A musical focus lies in contemporary music. Commissioned contemporary composers include Thomas Herwig Schuler, Daniel Serrano, and Yevgen Gembik, as heard in the recent performances given at the Carinthischen Sommer in their 2016, 2017 and 2018 appearances. Parts of the ensembles ‘off the beaten path’ performances include collaborations with various musiclal personalities such as Bernarda Fink, as well as jazz musicians Tonc Feinig and Reini Schmölzer. World premieres of pieces written by contemporary composers are also paired with classical chamber music and orchestra repertoire in these performances. Prisma Wien is able to refer to a lively history of both domestic and international concert activity and has performed at such festivals as Styriarte, Carinthischen Sommer, Klangfrühling, OsterKlang Wien, and in such halls as the Wiener Musikverein, the Wiener Konzerthaus, the Philharmonie Luxenbourg and in Wigmore Hall in London. 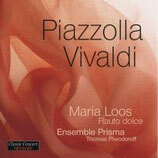 There are two recorded CD productions which showcase the diversity of the ensemble. Awarded the Pasticcio Prize, Piazolla Vivaldi combines Antonio Vivaldi’s Concerto for Recorder and Orchestra with Astor Piazolla’s Histoire du Tango in an arrangement created especially for the ensemble. 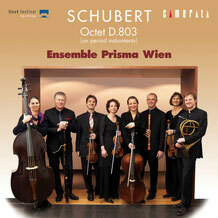 The live recording of Franz Schubert’s Octet D 803 was a part of a series of concerts performed on period instruments. Another artistic focus of the group are great works of the baroque such as Johann Sebastian Bach’s Mass in b minor and the St. John Passion or Georg Friederich Handel’s Messiah. Recently, the ensemble has turned their focus to the symphonic works of the three great composers of the Viennese Classical Style. The concerts at the Carithischen Sommer 2016 and 2017 were dedicated to Joseph Haydn and Wolfgang Amadeus Mozart. The year 2018 belongs to Ludwig van Beethoven- it is a long term goal of the ensemble to perform all of his symphonies. Soloist, chamber musician, concertmaster, and conductor- his authentic approach, intensive way of creating music, and warm rapport with his audience have transformed Thomas Fheodoroff into internationally acclaimed artist. Born in 1969 in Klagenfurt, Austria- Thomas Fheodoroff began his studies on the violin at age six at the conservatory of his hometown. After finishing school, his musical career led him to Vienna, where he studied at the University for Music and Performing Arts- Vienna, graduating in 1996. He was a student of Professor Günther Pichler and Ernst Kovacic, as well as studying Form-Analysis with Professor Karl-Heinz Füssl and graduating with honors. He has received further inspirations from other renowned artists and pedagogs such as Igor Ozim, Erich Höbarth, Thomas Zehetmair and György Kurtág. Thomas Fheodoroff’s diviersity shines through not only in his occupations as a violinist, pedagog and conductor, but also in his intensive workings with various stylistic periods. The “Alte Musik” and its performance practice on its respective instruments, the vast field of modern music and regular commissions of modern composers and the interpretation of their works build the cornerstones of his field. In addition to this he is also a regular judge of the International Nikolaus Fheodoroff Compostion Award, a biannual competition held to commemorate Thomas’ father, a composer who passed away in 2011. Thomas Fheodoroff has also gathered diverse experiences as an orchestral musician. Since 1990, he has been a member of the Concentus Musicus Wien, founded by Nikolaus Harnoncourt. From 2000-2010, he served as concertmaster of the Wiener Akademie, as well as the Baroque Orchestra and the Hofkapelle Stuttgart. He has also served as concertmaster of the Münchner Kammerorchester, the Camerata Salzburg and of the Scottish Chamber Orchestra. His two seasons playing in the orchestra of the Wiener Staatsoper and in the Wiener Philharmoniker allowed him to learn the coveted sound of these world class orchestras and work under some incredibly inspiring conductors. His engagements as a versatile soloist and chamber musician, as well as invitations to orchestras both domestic and abroad have led Thomas to the Middle East, Japan, The United States, and almost all of Europe where he regularly plays in renowned festivals. He also gives solo concerts and chamber music evenings at the Wiener Musikverein and the Wiener Konzerthaus, at the Osterklang Wien and at the Styriarte Graz, Carinthischen Sommer, Rheingau Musik Festival, in the Händel-Festspielen Hall, the Philharmonie Luxembourg and at Wigmore Hall in London, as well as in Tokyo, Osaka, Washington D.C., New York, and Moscow. He has been accompanied by brilliant orchestras such as the Wiener Akademie, the Münchner Kammerorchester, Camerata Salzburg, the Barockorchester and Hofkapelle Stuttgart as well as the Scottish Chamber Orchestra. He has also collaborated with renowned musicians including Malcolm Bilson, Florian Boesch, Bernarda Fink, Martin Haselböck, Christopher Hinterhuber, Ernst Kovacic and Rudolf Leopold as well as ensembles such as Quatuor Mosaïque. 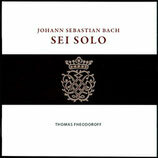 An accomplishment many years in the making, he has recorded Johann Sebastian Bach’s Six Sonatas and Partitas for Solo Violin, as a complete recording on the ORF label- Edition Alte Musik 2008. In 2004 he founded Prisma Wien- Ensemble für Musik, where he along with his fellow musicians, continue to create off the beaten path performances. At Carinthischer Sommer 2008, they performed a program of Vivaldi’s the Four Seasons, combined with the world premiere of a commission by Thomas Herwig Schuler for baroque instruments. In addition to his sizable artistic endeavors, since 1996, Fheodoroff also teaches as an assistant at the University for Music and Performing Arts Vienna (MDW) and was promoted to Professor of Violin in 2006. He was assistant director of the Hellmesberger Institute for ten years, and also gives international master classes to round out his pedagogic duties. Thomas Fheodoroff plays on a Nicolaus Gagliano violin from 1747. © 2019 Ensemble Prisma Wien. Alle Urheberrechte vorbehalten.